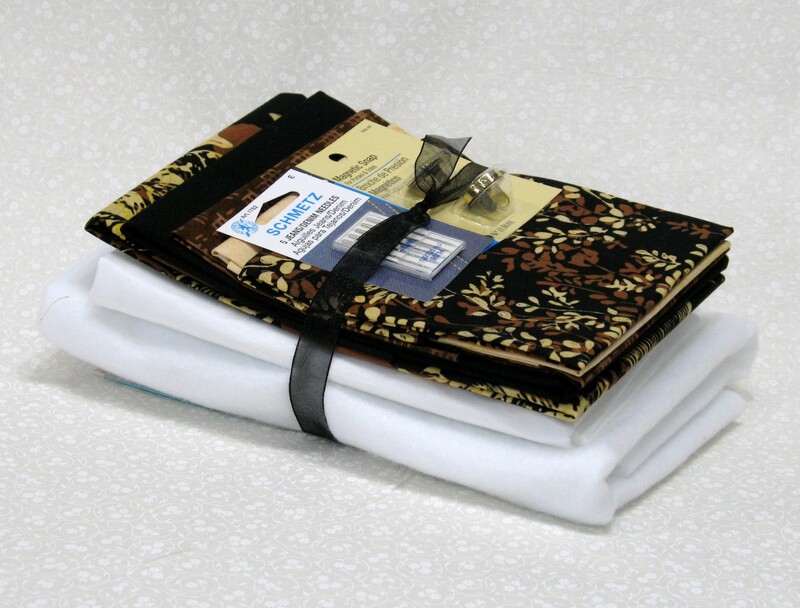 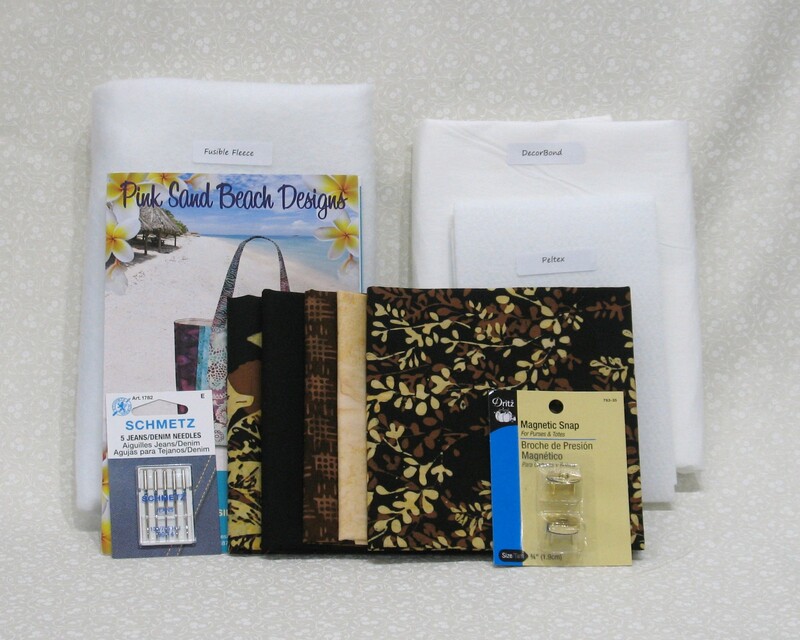 This kit includes all the fabric and supplies needed to make this versatile tote including all fusible interfacings, pattern, pack of jeans/denim sewing machine needles, and optional magnetic snap. 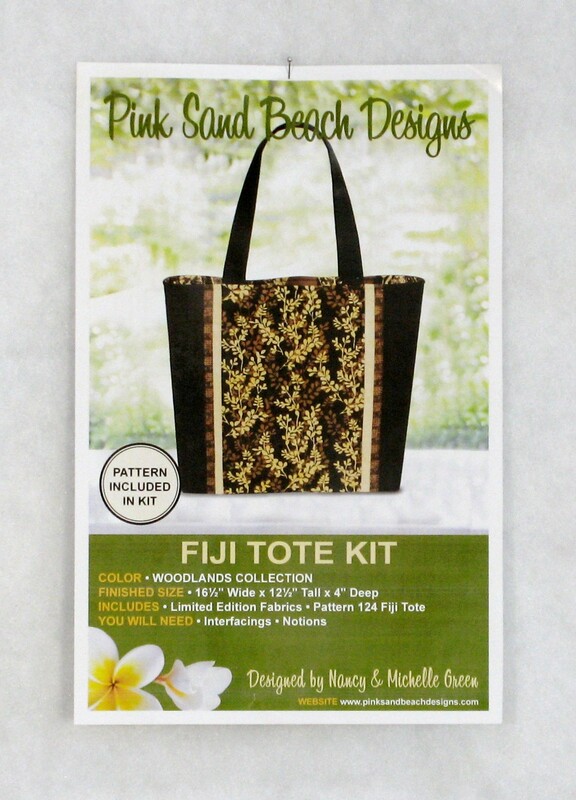 The pattern is called Fiji Tote designed by Nancy & Michelle Green of Pink Sands Beach Designs and has six inside pockets. 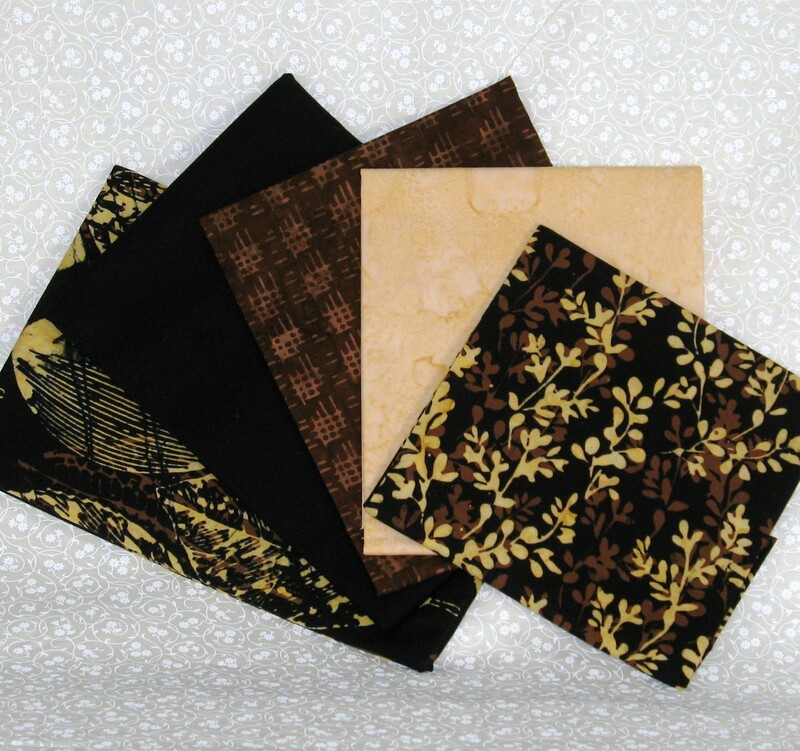 The fabrics are from Hoffman California's batik Woodlands collection and the tote finishes at 16.5" wide by 12.5" tall by 4" deep.